We’d like to introduce you to DeAnn Hoff, Registered Yoga Teacher and metastatic breast cancer thriver. She’s a wife and mother. She works full time and volunteers as a yoga instructor, sharing her passion for yoga with others who have experience with cancer at Gilda’s Club. In Episode 2 of our Podcast (Breast Cancer 1 to 1 with Firefly Sisterhood), listen as DeAnn shares the healing and life-changing power of yoga. At the end of the podcast, you can try out yoga as DeAnn guides you through a short yoga breathing exercise. You may want to bookmark or download this episode and replay DeAnn’s yoga breathing exercise whenever you want to find a few moments of peace, to hit the “restart” button on your day, or to begin healing through yoga. 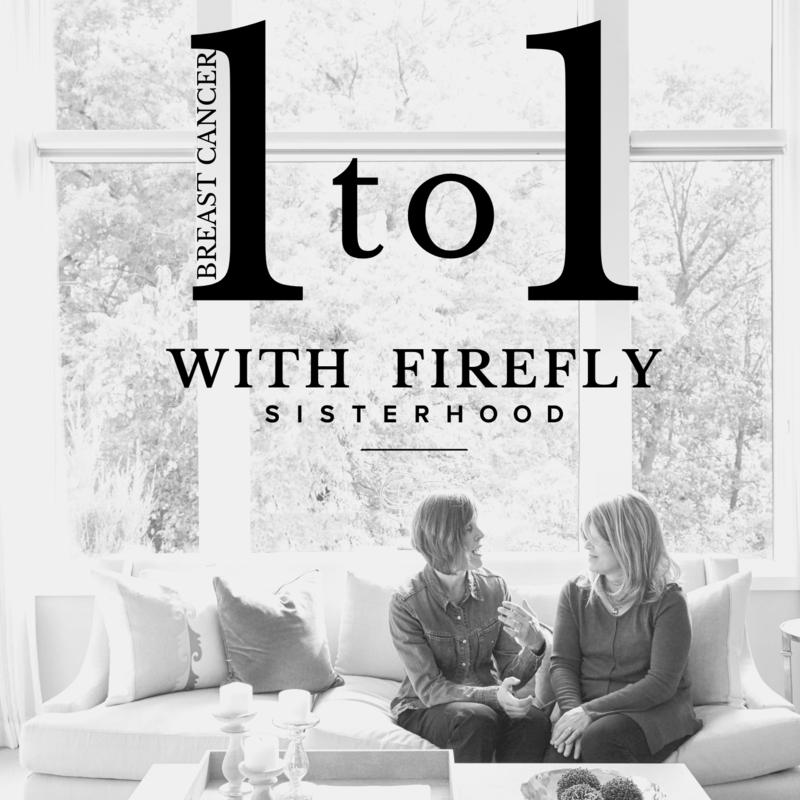 Breast Cancer 1 to 1 with Firefly Sisterhood is a podcast that connects women diagnosed with breast cancer to inspirational survivors, experts in the breast cancer field, and relevant self-care, wellness, and breast cancer related information. Never miss an episode: subscribe on iTunes, Stitcher, and Apple Podcasts to get monthly episodes as they become available. Don’t forget to rate the how, share it with friends, post it on social media or leave us a comment! We’d also love to hear what you would like to listen to in future podcast episodes (email amy@fireflysisterhood.org). Produced by Amy Tix, breast cancer survivor and Firefly staffer who felt very calm and relaxed after interviewing DeAnn. Anyone else want to try out Yoga at Lake Harriet this summer?